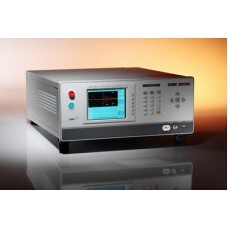 The Chroma 19305 series Impulse Winding Tester included with one channel(19305) and 10 channels output (19305-10), the 19305 series has 6kV impulse voltage and 200MHz high speed sampling rate to improve sensitivity of discharge detection. 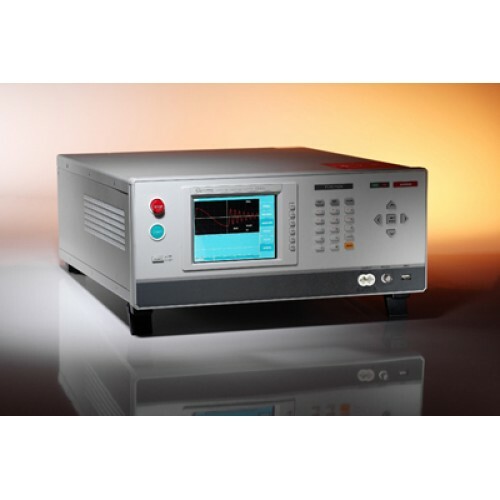 The Chroma 19305 series Impulse Winding Tester included with one channel(19305) and 10 channels output (19305-10), the 19305 series has 6kV impulse voltage and 200MHz high speed sampling rate to improve sensitivity of discharge detection. To test more than 10uH, the built-in Area Size Comparison, Differential Area Comparison, FLUTTER value and LAPLACIAN value functions are able to inspect the coils for poor coil insulation. The inspection of winding components includes electrical characteristics and safety withstand voltage tests. Commonly poor insulation of coils is the root for causing layer short and output pin short-circuited during usage. The reason could result from bad initial design, poor process or deterioration of insulating materials; therefore, adding the coil layer shor t test to winding components has its necessity. The impul se winding tes t i s to impose a non-destructive, high speed and low energy voltage impulse on the DUT (Device Under Test) to analyze/compare the equivalent waveform of yield and defect products for good and no good judgment. The main function of impulse winding test is to discover the potential defects such as layer short, corona or partial discharge that is difficult to find in wound components in early phase. The Chroma 19305 series is an equipment speci f ically designed for tes ting winding components utilizing a high voltage charged micro capacitor (low test energy) and coil under test to form an RLC parallel resonant. Analyzing the oscillation decayed waveform via a high speed and sophisticated sampling process technique can successfully detect the coils with poor insulation. Analyzer can perform impulse tests on wound components like motors, transformers wound products. Not only reliable quality but also efficient product control would be obtained when implementing it to quality verification by wound component test. The Chroma 19305-10 can providing maximum 10 channels output for multichannel scanning tes t s to save time and labor cos t s in the manufacturers.